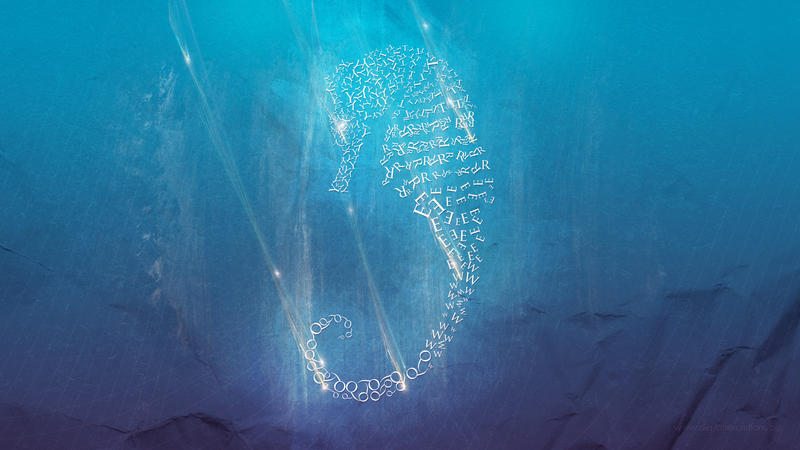 I’m pleased to present the latest addition to the Digital Revolutions collection of free, high-resolution wallpapers: Seahorse. Seahorse is an abstract typography-based design with a few subtle grunge elements in keeping with that traditional Digital Revolutions’ style. Download this widescreen wallpaper today for free and enjoy!